When we launched Wareable back in August 2014, there were already a bunch of successful fitness trackers on the market. The Fitbit Flex, the Jawbone Up24, the Withings Pulse, the Misfit Shine, the Polar Loop, the Samsung Gear Fit... the list goes on. At the time, we thought we were onto a winner with Wareable, launching the site at a time when smartwatches were about to boom in popularity. Google had announced Android Wear a couple of months before, the Apple Watch was much rumoured for an impending release and Pebble had already carved out a cult following amongst early adopters. But while smartwatches haven't quite taken the hold that we'd hoped (although we'd argue they are on track to power a major fashion revolution), it's clear that the humble fitness tracker is here to stay. And some. Analysts predict that global revenues from connected fitness trackers will increase from around $2 billion in 2014 to $5.4 billion by 2019. In 2015, the two biggest wearable tech brands, in terms of sales, were Fitbit and Xiaomi. Apple, despite huge sales for the Watch, came in third behind two brands who were firmly focused on the activity tracking market. So the message is clear. People still want fitness trackers. They are still a big deal and a key cog in the wearable tech juggernaut. 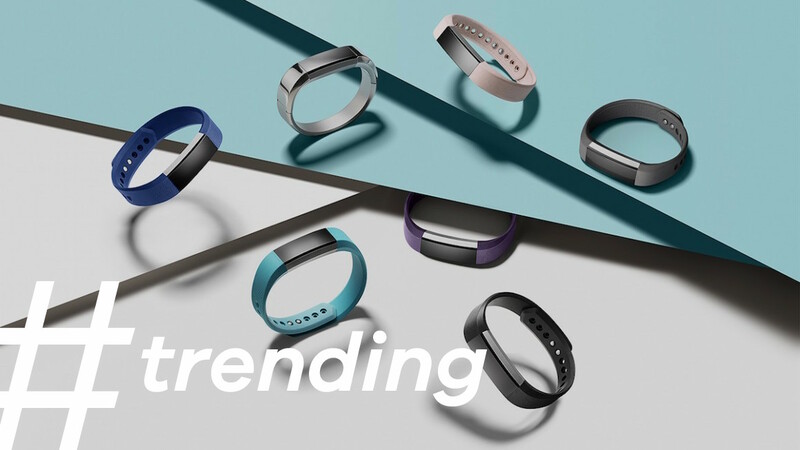 Fitbit's first tracker launched back in 2008 but it wasn't until the Fitbit One hit the shops in 2012 that the brand became a household name. Since then, the likes of the Zip, Flex and Charge duo have seen the San Francisco startup sail past an estimated 40 million sales globally. When Fitbit announced the Blaze fitness tracker at CES 2016 it received heavy criticism for not creating an Apple Watch rival. It was assumed that, as it was the market leader in wearable tech, it would take on the Cupertino giant in the smartwatch space. After all, it had hinted it might by launching the semi-smartwatch, Fitbit Surge, in 2015. The stock price crashed and it was pretty much accepted that Fitbit had made a balls up. However, fast forward a few months and Fitbit is still leading the way in the wearable arena; its latest fitness trackers – the Fitbit Blaze and Fitbit Alta sold more than a million units each in their first four weeks of existence. Familiar foes Samsung and Apple may well be set to face off once again. It seems the tech goliaths, already leading the way with their smartwatches, want a slice of the fitness tracker pie. According to a recent leak, Samsung is jumping back in with a Gear Fit sequel, with a tweaked design to make it slightly more curved and ergonomic. It's said to be packing GPS, so you can track activities without piggybacking off your smartphone, meaning it could end up being a direct rival for the Microsoft Band 2; one of the few fitness tracker/smartwatch hybrids to pack GPS. The Apple fitness tracker rumour is a little less meaty... "Given our view of consumer demand, along with Apple's very clear commitment to the space, we believe the company is likely to expand its wearables line-up to include data tracker type devices alongside the Apple Watch," said analyst firm Pacific Crest's spokesman. Still, we wouldn't be surprised. We so wanted the UA Band to be awesome. Born out of the ashes of the cancelled HTC Grip, the Band had the power of Under Armour's huge online community to tap into. Sadly, the design isn't nearly as good as it appears on press images and, in our UA Band review, we described it as a "pretty average piece of hardware" and lamented that "exercise tracking is not really up to scratch". Such a shame, we thought we may have had a genuine Fitbit rival on our hands.